Make 2019 the Year You Create a Healthy Home! You know there are things you can be doing to create a healthier home environment, but you don’t know where to begin. You don’t have tons of time to do the research and it’s all really overwhelming. That’s why the Healthy Home Planner was born — to help you have a healthy home by doing easy, actionable steps incorporated into your daily life. The planner provides you time savings, health benefits, and education. What’s Included in the Planner? 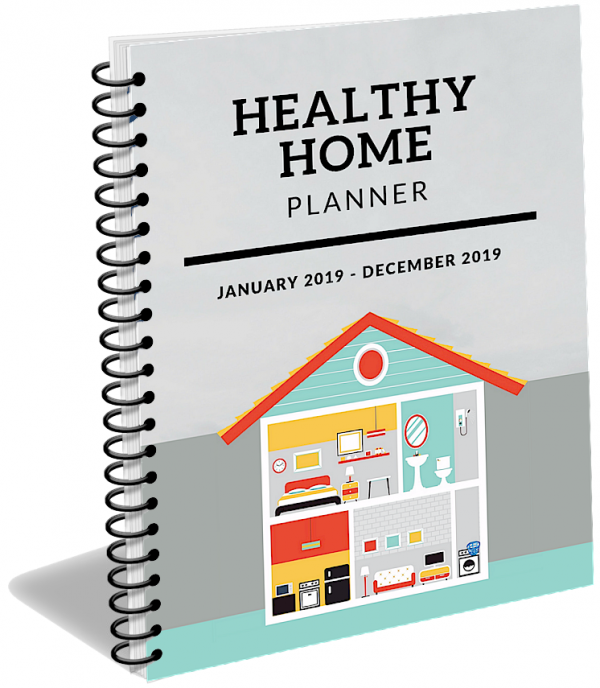 The Healthy Home Planner is a 153 page, 8.5 x 11″ spiral bound planner which will be shipped to you. For more information about the planner along with images and video, visit www.HealthyHomePlanner.com.